By now, I hope you’re familiar with our life hacks series. From removing egg yolks with water bottles to making flavored ice cubes, we’ve provided you with an abundance of different ways to simplify your lives. It’s time for all-new life hacks, specifically designed to help you save time in the kitchen. If you’re anything like me, you may have trouble cooking or don’t enjoy spending much time preparing your meals. If this sounds like you, I’m happy you’re here! I’ve included some of my favorite life hacks that have helped me save time in the kitchen and will help you make the most out of your meals, so you can do more of the things you enjoy. We’re starting this life hacks blog with power tools! 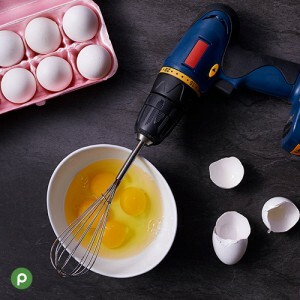 For the fluffiest scrambled eggs you’ve ever had, insert the whisk attachment into your drill and beat those eggs with maximum force. This concoction works well with any batter in a recipe (pancakes, waffles, cookies, etc.). Another way to use your drill is to unscrew the top of a peppermill to expose the driveshaft. Fasten your drill onto the driveshaft and you’ll have enough pepper for a whole family gathering. 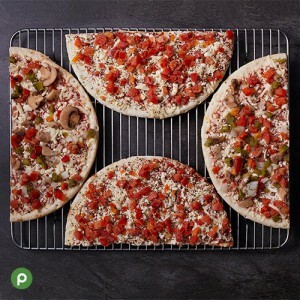 Before cooking your frozen pizzas, cut them both in half and place them in the oven — one half on each side. To cook your pizzas even faster, turn the broiler on for a few minutes and then turn the oven to the temperature you want. Voila! Enjoy two pizzas cooked quickly and evenly at the same time. When cooking soups, it’s easy to get bored once it’s in the pot and walk away to watch some TV. 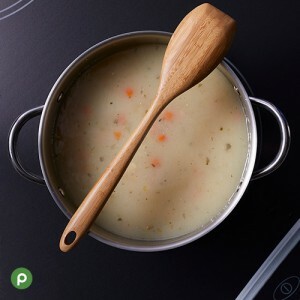 Before you wander to the living room and turn on the tube, place a wooden spoon over a pot of soup, boiling water, or sauce. This will help whatever you’re cooking inside to not boil over. The wood soaks up the water and steam. Give it a try! Onions are included in so many different recipes and chopping them almost always ends in tears. 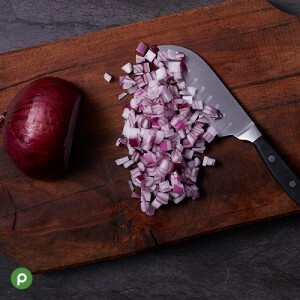 For an easy way to help, place an onion in your freezer approximately 15 to 20 minutes before you have to chop it up. This will help reduce those tears dramatically. For additional help, try chewing a stick of gum while slicing onions. 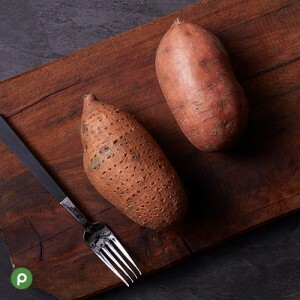 Do you love baked and sweet potatoes but hate having to wait so long for them to cook? Me too! This one is a game changer. For fast-cooked potatoes with the same delicious flavor, poke holes in the potato and cook on full power in the microwave for three to four minutes. Hello delicious baked and sweet potatoes cooked in no time! Heading to a party and need to chill your beer fast? Put one tablespoon of salt into a large bowl of ice water, then place the beer bottle in the water. The salt will lower the freezing temperature of the water, and will help your beers get cool much faster. Cool…science! Bacon! One of the most delicious bites for breakfast has a major downfall. It’s almost impossible to cook bacon at home in a pan without getting grease all over the stove, counters, backsplash and everything else in the kitchen. 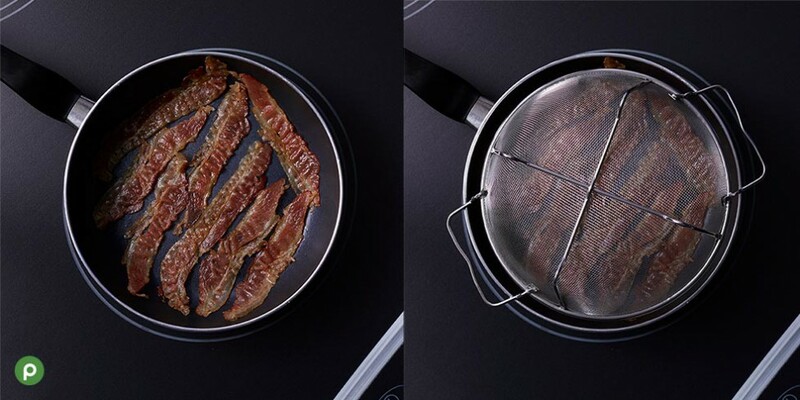 Next time you’re cooking bacon, put a steel or metal colander on top. It will eliminate splatter and keep the kitchen clean. Did you know about all these amazing life hacks to help in the kitchen? What are some of your favorites? Share them with us on Facebook, Twitter and Instagram.